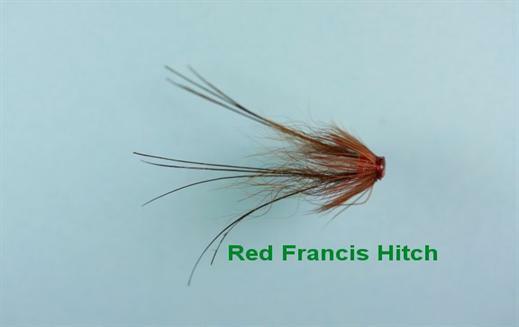 The Red Francis Hitch is a variant of the famous Red Francis which is normally trundled along the bottom of many a river with great success. This dressing is designed to skip across the water surface causing a "V" which will attract and stimulate even the wariest of fish. Currently there are no comments about the Red Francis Hitch fly pattern from other fly fishermen yet.